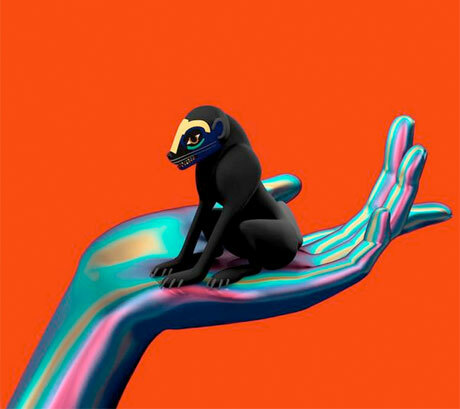 Mysterious UK producer SBTRKT broke through in 2011 with his excellent self-titled LP. He's since kept the music flowing, releasing his Transitions EP, as well as the Sampha team-up "Temporary View." The supplemental works have all been leading up to the artist's follow-up album. Taking to his Twitter, the artist revealed that his next LP will be called Wonder Where We Land. In addition to the title, he also shared the album's bright, 3D-rendered artwork (available above) and a brief but enticing trailer for the album, which you can view below. Little else is known about the album, but more treats are on the way — later today (July 22), on BBC Radio 1, Zane Lowe will premiere the LP's lead single, "New Dorp. New York," which features Vampire Weekend's Ezra Koenig. We'll share that track as soon as it's available. UPDATE: You can now stream the new track below. Hear SBTRKT's Remix of Chance the Rapper's "All We Got"